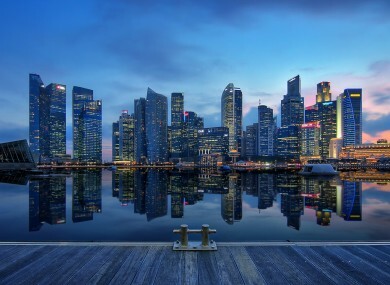 Singapore - the most expensive city in the world. THE ASIAN CITY-STATE of Singapore remains the most expensive city in the world in which to live because of sky-high prices for transport and some consumer staples. But costs in several European centres including Paris, Oslo and Zurich are not far behind those in the island nation, according to an international comparison. The annual Worldwide Cost of Living report from the Economist Intelligence Unit (EIU) showed the top-five most expensive cities across the globe were unchanged from last year. The list weighs the relative costs of products and services including food, clothing, rent and transport in major cities using New York as the benchmark. For example, basic groceries are 11% more expensive in Singapore than New York – although they are 49% pricier in the South Korean capital Seoul. But Singapore is the most costly place in the world to buy clothes, with consumers paying 50% extra compared to New Yorkers, and transport costs are almost three times higher in the Asian city. At the other end of the scale, Karachi in Pakistan was rated the cheapest major city in the world – behind Bangalore in India and Caracas in Venezuela. Major Australian cities also placed high on the list with Sydney and Melbourne ranked fifth and sixth. The report notes both locations were cheaper than New York a decade ago, but they have since become much more expensive with the rising local currency and strong national economy. Paris was the only eurozone city in the top-10 because it remained “structurally extremely expensive” with only alcohol and tobacco offering relative bargains, the EIU said. The list of most costly European cities was otherwise dominated by countries outside the currency bloc, reflecting the weakness of the euro and many member states’ economies. However the list doesn’t take into consideration relative earnings, with Switzerland, Norway and Australia also featuring the highest average wages in the world, according to 2013 OECD figures. The survey is aimed at comparing prices for expat executives who want to maintain the same standard of living in a different country. Email “These are the 10 most expensive cities in the world”. Feedback on “These are the 10 most expensive cities in the world”.